Can you please provide me the time table of PCP P.G. Diploma in Analytical Toxicology December 2013 of distance education program in Annamalai University? Toxicology were held in June 2013. The time table of PCP P.G. Diploma in Analytical Toxicology can be checked by following this procedure. Follow these steps to check the time table. 1. Go to the official website of Annamalai University. 2. Then click on the Distance Education tab on the bottom left side of the page. 3. 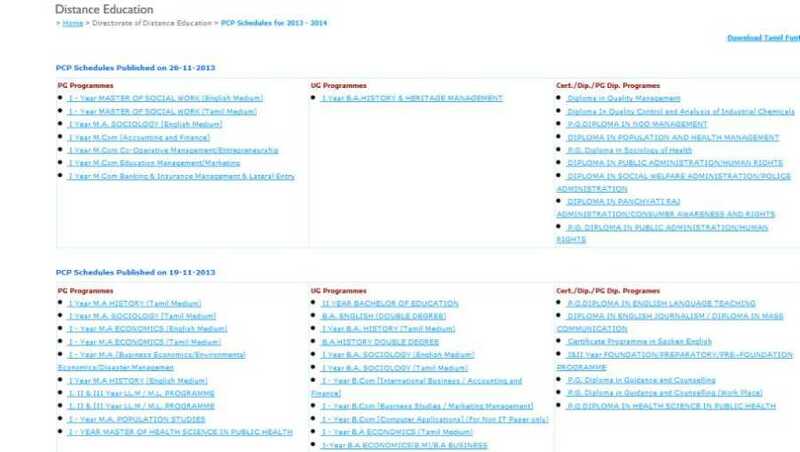 Now click on the “PCP Schedules” option displayed at the centre of the page. 5. Now on the right side under “Cert./Dip./PG Dip. Programes” click on P.G. Diploma in Analytical Toxicology and save it. Also I am providing you the PCP schedule for P.G. Diploma in Analytical Toxicology. Last edited by Sashwat; February 3rd, 2014 at 01:43 PM.